Reality Ridge is central to some of the best attractions the area has to offer. 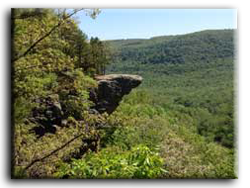 This includes the Buffalo National River, The Ozark National Forrest, numerous hiking trails and scenic drives as well as other events located in nearby towns. See the Attractions page for just a small list of things to do around this area. 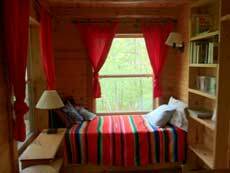 You can, of course, just relax at the cabin as well! 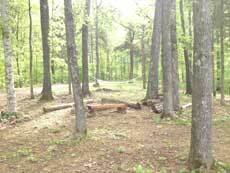 Below are a few pictures of our cabins and the grounds. 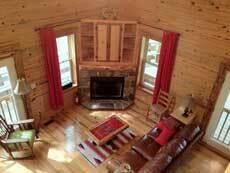 We encourage you to view our Featured Cabin page as well as the guestbook to see what the cabin is really like! The perfect place for a nap! My wife and I rented the Reality Ridge cabin for our honeymoon recently. I have to say it was the best cabin experience I have ever had. It provided a nice, quiet and secluded experience while at the same time being central to some of the best hiking I have ever done. We will definitely be coming back with friends! See more of our guestbook!